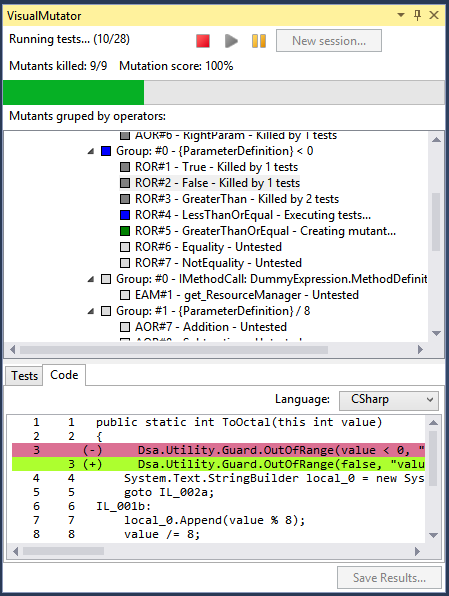 VisualMutator is integrated into development process as an extension for the Visual Studio IDE. 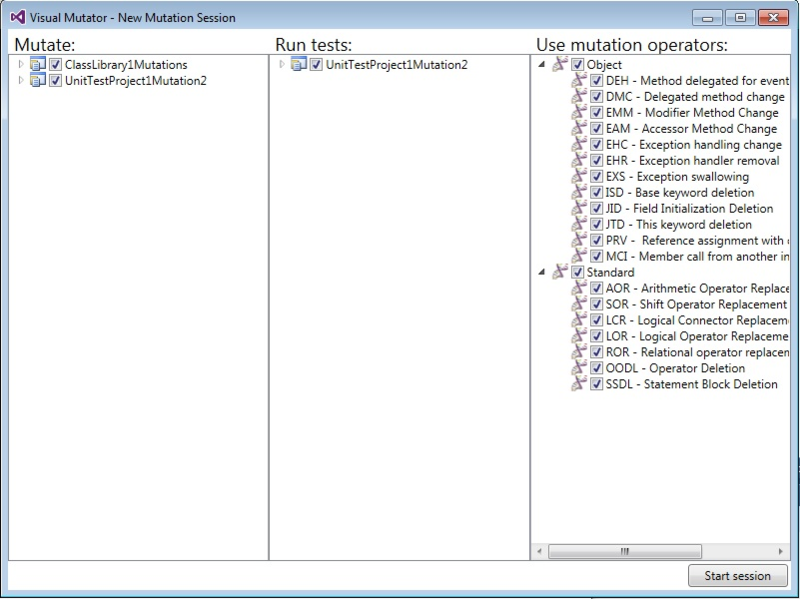 Implementing the process of mutation testing, it strives to provide a way to measure the quality of the test suite. 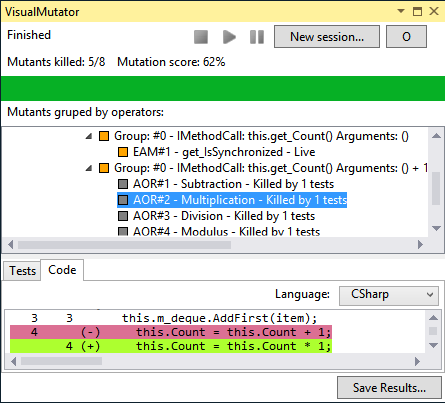 With simple user interface, VisualMutator tries to make mutation testing accessible and quick to start. While executing the mutation testing process, the user remains in control and is able to get useful, partial results seconds after starting the process.